Kenya's reputation as one of the most rewarding safari destinations in Africa has been deeply entrenched since the 1960s, with thousands of visitors flocking to the country for the annual Great Migration alone. Today, the country's tourism industry has developed into a well-oiled machine. There's a very good network of internal flights, and you can get a better variety of safari lodging and camps here than anywhere else on Africa's safari circuit. But the price for all this abundance is over-crowding. There are now more than 25 permanent camps and lodges in the Maasai Mara National Reserve. Minibus safaris cater to those on a strict budget - but can act as a deterrent for those in search of authenticity. After all, fighting with the crowds to get a clear view of a lion or rhino is a far cry from the at-one-with-nature experience most envisage when dreaming of Africa. The solution for those who still want to experience Kenya's considerable natural beauty? A safari in one of the country's conservancies. Conservancies are large tracts of land, often adjoining national parks, that eco-tourism operators rent from local communities or private ranches. The agreement is based on the understanding that the rented land is not used for grazing cattle or farming, but left alone for the exclusive use of wildlife and a small tourist population armed with cameras. It's been a win-win situation for tourists, the resident wildlife and the traditional cultures (like the Maasai and Samburu) that live in these areas. The Maasai and Samburu people are nomadic pastoralists who have experienced severe constraints on their traditional way of life in the past few decades. The land that they once roamed freely with their herds has been dramatically reduced in size and quality due to commercial farming and environmental changes. Wildlife has also been affected as natural migration routes have been blocked and animals have come into increasing conflict with farmers protecting their crops. By the 1990s, Kenya's most popular safari destination, the Maasai Mara, was suffering from declining wildlife and a surplus of tourists. Something creative had to be done. Founder of Porini safari camps Jake Grieves-Cook persuaded 70 Maasai families to set aside 3,200 hectares of their land exclusively for wildlife. This became the Ol Kinyei Conservancy – the first community-owned sanctuary to be established on the rangelands adjoining the Maasai Mara National Reserve. It paved the way for a host of other conservancies, not just in the Mara eco-system, but also around Amboseli. In the northern Laikipia region, the Craig family has been instrumental in establishing conservancies with more than 17 communities and ranches. The success in terms of community-based conservation has been astounding in conservancies like Loisaba, Lewa and Ol Pejeta. Not only is wildlife thriving (including the highly endangered white and black rhino) but the conservancies have also helped to establish schools and clinics throughout the region. In fact, the conservancy model is working so well that new conservancies are still being formed throughout Kenya. There are many advantages to booking a safari in one of Kenya's conservancies. The most obvious is the exclusivity - there are no minibus queues, and you're likely to be the only vehicle present at any given wildlife sighting. In addition, conservancies are privately run and therefore less regulated than the national parks. Activities that are banned in places like the Maasai Mara and Amboseli are possible in the conservancies - including walking safaris, night drives and safaris on camelback or horseback. Walking safaris are a particular highlight. These walks are usually led by a local Maasai or Samburu guide, giving you the opportunity to learn more about their culture while benefiting from their incredible knowledge of the bush and its inhabitants. You may learn how to identify different types of animal dung, which plants have medicinal purposes and which are used to craft traditional weapons. Walking safaris also allow you to immerse yourself in the sights, sounds and smells of your surroundings. You'll notice more and have a better chance of spotting birds and smaller animals. The ability to experience a night drive is also an excellent reason to visit a conservancy. After dark, the bush is transformed into a completely different world, with a new cast of nocturnal creatures you might never see during the day. These include many of Africa's smaller cats, as well as strange creatures like the aardvark, the bushbaby and the genet. Night drives also give you your best chance to see leopards, and other nocturnal predators in action. In addition, the stars of the African night sky are a spectacle not to be missed. By choosing a conservancy for your Kenyan safari, you will also be benefiting the local community. Often, the people that live closest to Africa's national parks are among the poorest. Typically, their homes are a long way from the country's commercial centers, and as such access to jobs and resources is limited. Although wealthy tourists flock to the nearby parks, very little of their money filters down to the local people, instead getting absorbed into state coffers. In circumstances like these, it's no wonder that poaching becomes an attractive means to feed the family, or send the kids to school. If conservation is to stand a chance, local communities must see a direct benefit from the thousands of dollars that are spent every day by the average tourist on safari. Conservancies aim to do this, and have so far done it very well. Not only do local communities benefit from the payment of land rent, but safari camps offer valuable employment opportunities as well. Most of the staff, trackers and guides at safari camps in conservancies are from the local area. Many conservancies also fund community resources, including much-needed schools and clinics. Porini camps are conservancy pioneers, and offer a variety of unique safari camps and itineraries to suit all budgets. Their best accommodation options include exclusive tented camps located in Selenkay Conservancy (near Amboseli), Ol Kinyei Conservancy and Olare Orok Conservancy (near the Maasai Mara) and Ol Pejeta Conservancy (in Laikipia). Each one offers all-inclusive rates that cover food, drinks, game drives and activities. The company's list of recommended itineraries give you the chance to visit several camps on a single trip. Cheli and Peacock operate luxury safaris that visit remote camps in conservancies throughout Kenya. Their sample itineraries include stays at conservancy gems like Elsa's Kopje, Lewa Safari Camp, Elephant Pepper Camp and Loisaba. 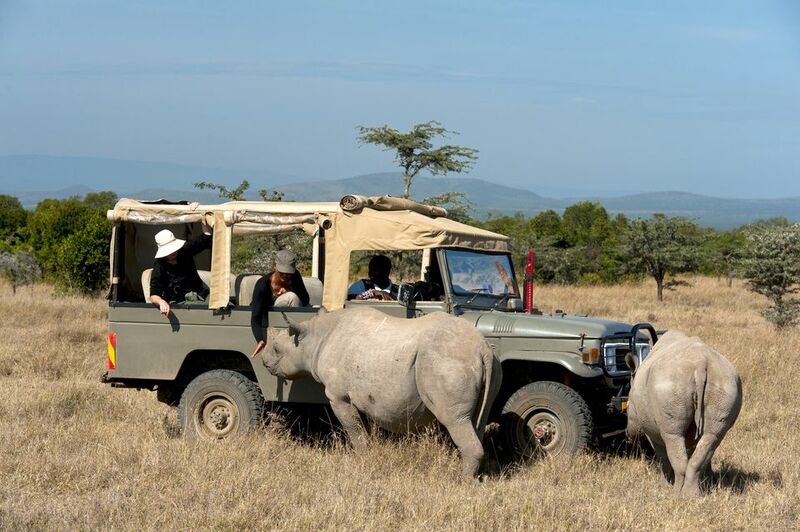 Similarly, luxury safari operator Natural Habitat offers a 10-day Best of Kenya itinerary that includes camps at several famous conservancies, including Lewa Wildlife Conservancy and Naboisho Conservancy. This article was updated by Jessica Macdonald on December 12th 2017.